Property viewings are heartbeat to any property investor trying to build their portfolio. There is simply no debate around it. While most talk about financial freedom and build your portfolio within a year, we always talk and push ourselves or anyone around us to do the property viewings. You do more viewings and place more offers, you stand a better chance to have a deal in the bag quicker. How should I plan my viewings and what should I be mindful off viewing properties? 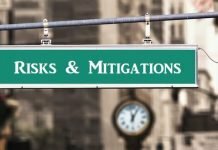 That is exactly what we are going to discuss in this post in detail, and by the end of this post you will be equipped with enough knowledge to push yourself practically with following. If you are totally new to property investment then consider reading below post first. Must Read: A Beginners Guide To Investing In Property? One issue I have seen in my past not being able to view as many properties, is not having a good system to actually plan and schedule viewings. When you can’t plan or schedule enough viewings properly, it leads to procrastination. When your investment area is miles away from where you live. If you now logically look at what is required for you to schedule your viewings, below is what you need for starters. You will need a high level plan of dates when you will visit your investment area for at least 3 months ahead. This really tunes your mind to focus on visiting your area often and provides a view into forward schedule. Easiest way to get used to a routine is to keep your viewing frequency consistent i.e. have your viewing dates as a cycle. We as a habit visit our investment area every 2 weeks. Whilst you have listed the dates when you will view properties, say every 2 weeks, you will need a routine as well on which days will you book your viewings? Day 4: Ensure the property database is updated with properties available to view and place offers on. Day 6: Ensure you assign priorities to which properties are a must view, should view and could view. Day 8: Call the estate agents in one go to schedule viewings for all the must view ones. Day 10: Call the estate agents in one go to schedule all should and could view properties as much as the time permits you to view. Day 12: Basic analysis of all the properties to assess potential offer/cashflow/ROI/money left in and any other criteria. Day 14: View the properties. Above schedule is a suggestion and you will have to personalise the schedule to your day to activities and see what works for you. At the beginning of our investment journey, we used to view anywhere between 5 to 8 properties a day. 8 properties was a stretch for us. I would not be surprised if majority are doing less than 8 a day within the community. We actually have stretched ourselves and started optimising on how we can view more properties within same day. We actually have viewed 20+ properties in one go and in one day. Question now is “How can you do it”? Here are some simple tweaks you can consider doing to the process you probably are already following. This is the first optimisation we did. Here is a thing we started doing when we call up an estate agent to book a viewing. 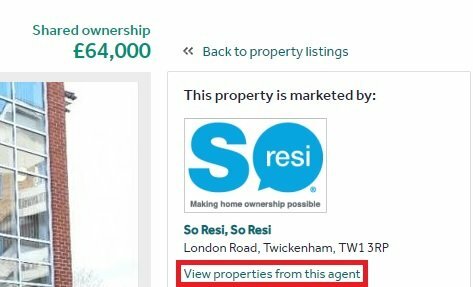 In Rightmove website you have an option “View properties from this agent”. If you click that link, you will comes across all properties listed by that agent. Make a note of all the properties that you think fit the criteria you have for your investment. At the end of your call booking a property, pop a question if they can provide bookings for the rest of the properties as well. Most of the agents will be happy to book you in for all the viewings and one after the other. Within a span of an hour you can easily view 4 to 6 properties in one go given they are with same agent. If you don’t have much luck with agent driven classification then the next filter is for you to assess the ideal route to take while viewing all the properties. Use nothing but google maps to find the efficient route and then book the viewings according to the route to minimise your travel time. You wouldn’t really know the impact this can have on your viewings day. You will have enough time to view double the numbers if done the right way. You may have all the knowledge on your investment area. It’s useful to actually view the postcodes and the area on google maps or on websites like Street Check to have an overview on what the area has to offer. Here is a checklist of what you should check as part of your property viewing externally. Roof and Chimney, to check if there are any misplaced tiles or roof flashings are worn out. External cracks that you think could be due to subsidence. Condition of windows and doors from outside the property. Any flying freehold that you can see from outside that needs to be discussed. The borders of the house are clear and you don’t have any immediate questions or concerns. Any drain issues externally which may force rising damp inside the house. Potential crack on the roof or chimney damage that could cause damp in the house. Parking space for the house or parking area on the street. Crowd outside during the visit and preferably at different days of the week if you can. The checklist we use as minimum when we view property internally. Visible patches of damp you can identify with mushy smell or powder on walls or dark stains. What natural light is coming into the house when all the lights are switched off? Any visible signs of subsidence with internal cracks or inclined floor area. Artex ceilings and wood chip on the walls that you may have to get rid of. Radiators are present in all the rooms. At least 2 plug points provided in each room. Consumer unit and if electrics have to be redone. General condition of the walls, structure and if new bathroom/kitchen are required. What existing infrastructure can be reused within the property as part of refurbishment? Floor area or distances between walls within the rooms using laser measuring device. Utilities are in working condition and boiler in working condition. Doors and windows are in good condition and are double glazed. Any alarms that needs to be redone. Loft access and if there is any basement to the property. Finally the noises from outside from busy roads or any train lines. That may not be full list, but should get you started and have an idea on what you should look for in your property viewings. In fact, make this list your own and start building it as per your experience when you view properties. 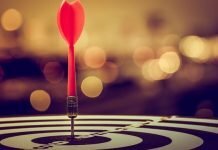 Consider below post to understand what tools you need to view your properties. You can use your time with the estate agent to gather some much needed information about the property. Here is a list of questions to ask to gather as much data as you can which will help in understanding and negotiating the property deal. 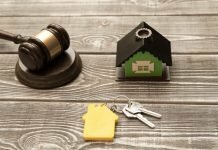 Why is the landlord selling the property? Has there been any official valuation done to arrive at the asking price? What does the agent think of letting the property as is? Have there been any developments done with planning permission secured? Is this a repossession property? Are there any recent survey reports that we can have access to? What is the appetite of landlord to complete this transaction quicker if it’s a cash offer? How negotiable is the landlord on the asking price if we intend to move quicker? Would landlord be open to doing a lease option? What are the nearby hot spots that allows us to let the property out quickly? Were there any recent sales in the street that agent was involved in? Have there been any offers on the property and why haven’t they been accepted? These may not be full list of questions but provide a good view into what questions you can ask the agent showing you the property to get that conversation going. I recommend you to read below linked post if you need to understand in detail on key questions to ask buying a property. If you have viewed a property, then you have spent most valuable time of yours on the property. It becomes a waste of time if you don’t place offer on the property you viewed immediately. Speed is off essence if you want to remain in the game and secure deals. First thing we do when we view properties is place offers on most of them in under 24 hours. Usually under 12 hours, taking all the facts into account post viewings. Give your offers via emails always as first thing, so you have a record of every offer you give. You have already done your analysis on the property cashflow/ROI as part of your scheduling process. This should just be a validation of the analysis with facts post completion of viewings and sending a formal offer. Keep the relationship going and respond to the agent if you receive a reply to your email, be it offer accepted or rejected. Personally, I prefer to call the agent and explain the offer given for a property based on the refurbishment work required or otherwise. Given investors have to give below market value offers with property refurbishment in mind, its natural that most offers will be rejected. That does not mean that you are out of the deal just yet. Money is always in the chase ups. About 25% of properties come back to the market again for sale after offers are accepted, at least within the investment area I invest in. So it just makes sense to chase up after 2 weeks and enquire if the landlord is open to negotiate further and make a deal, if not accept the deal.